Cliff Palace was the most spectacular ruin we saw today. The Anasazis, now referred to as Ancenstral Pueblo people, built some of the most impressive North American structures during the 1100s and 1200s in what is now southwestern Colorado. 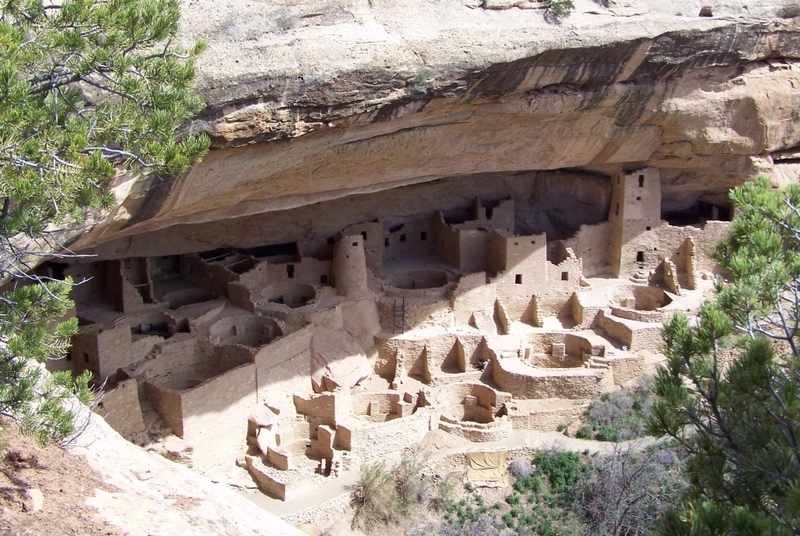 Known as Mesa Verde, the villages were built beneath cliffs using sandstone. Circular kivas were used for ceremonies. The Pueblo people lived in the cliff dwellings for only about 100 years. There are several theories about why they left: Drought, crop failures, or perhaps political problems? 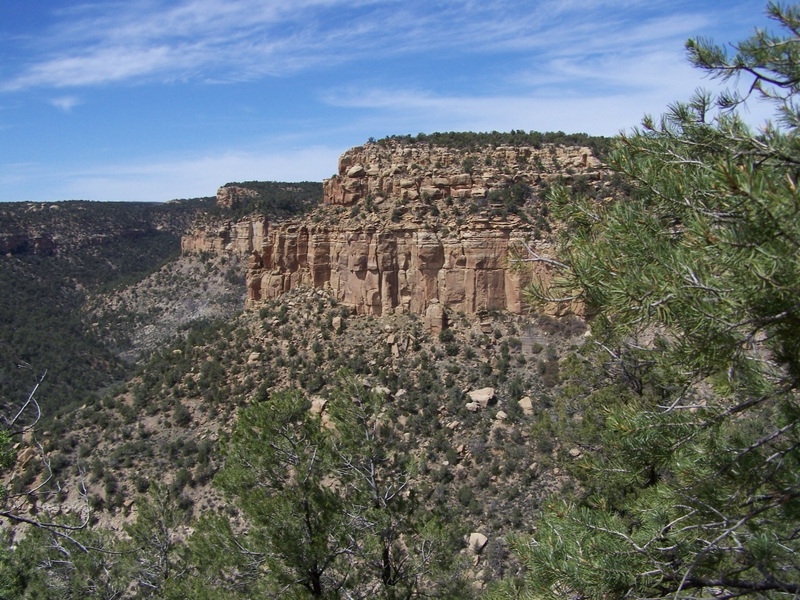 It is about a 45-minute drive to the national park entrance from Durango, then 20 miles of mostly climbing to the museum and trail heads. 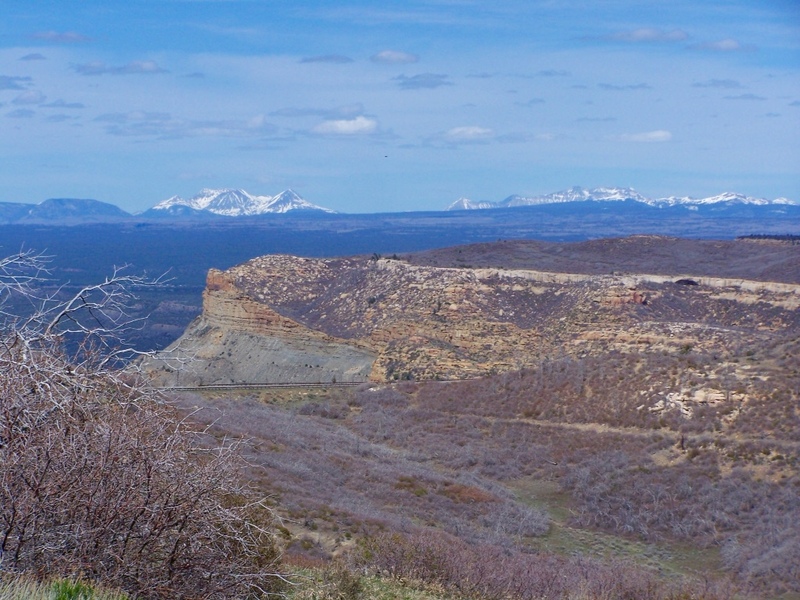 By mid-April, when all the trails are open, Mesa Verde could easily provide three days of exploring. The 20-mile drive from the park entrance provides spectacular views. 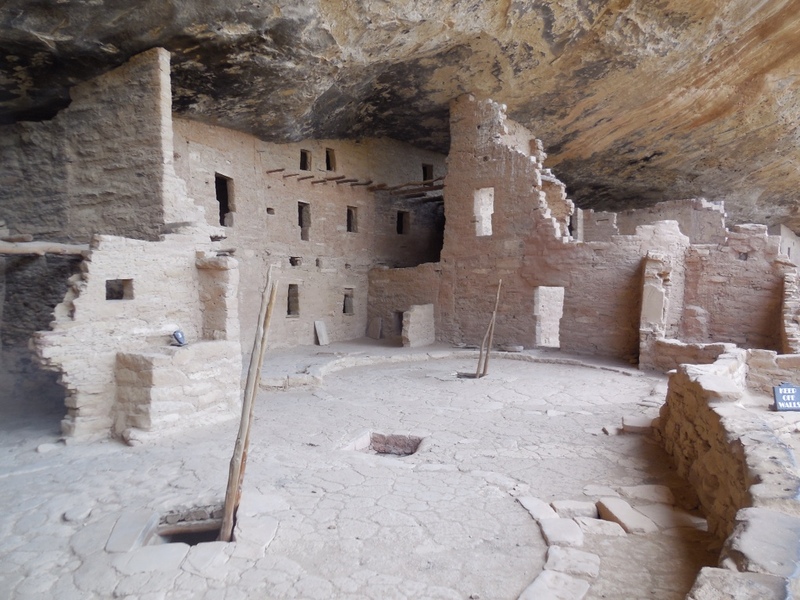 Spruce House is the best-preserved of the cliff dwellings. 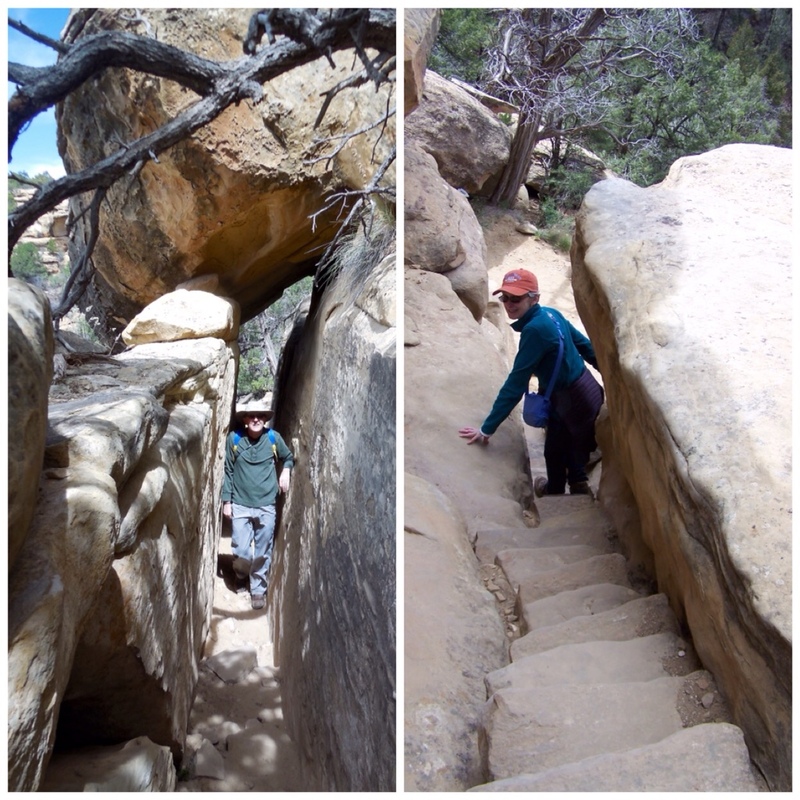 The 2.4-mile trek to Petroglyph Point, shown in the photos below, was a cliff-hugging, up-and-down path that required us to register at the trailhead just in case. We might have walked past the petroglyphs if there had not been a small sign leading us to look to the wall above. The Petroglyph Point walk provided some expansive vistas. 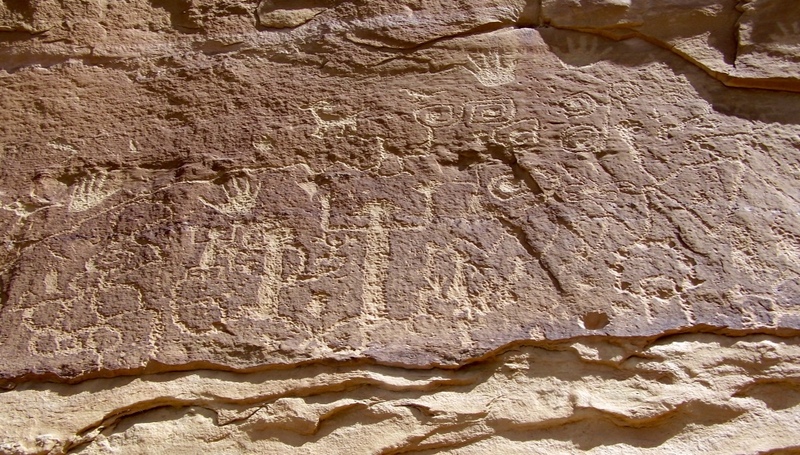 These petroglyphs have survived the elements for about 800 years. The walk back provided settings reminiscent of the top of Half Dome in Yosemite.